We are ever so slowly updating, renovating and painting our little house. The painting in the living room and kitchen is complete and while I was at it I painted the kitchen cupboards too. The bathroom renovation (we started so very long ago I am actually embarrassed to say when that was) is starting to take shape finally and I am almost finished painting in there too. Back in 2012 (when I was living in Nova Scotia), I had painted my main bathroom a very pale sea blue color that I really loved. I was hoping to paint this bathroom the same color. After many hours of looking at paint chips I still did not find the color I used way back then. I wish I had done this a long time ago! Go check it out, it’s pretty easy and so practical…. The color I decided on is called White Wave and it is from Home Hardware’s Beauti-Tone line. It’s not the one I used before but at least I tried something new and ya know I really like it. I’ll also be making myself a paint chip ring so I will have a history of the paints I’ve used and liked. Once the bathroom reno is complete, I’ll be sure to post some pics of how it turned out. If you do make one I’d love to see your colors. 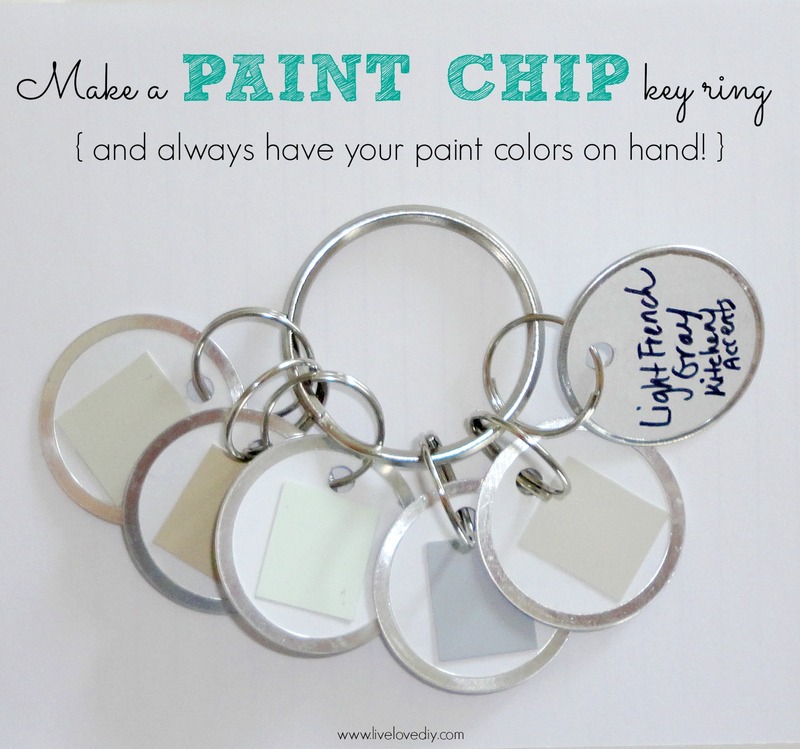 Easy to make Paint Chip Ring – it’s A Wandaful Thing!! This entry was posted in DIY, Make and tagged bathroom, cheap, color, Crafts, DIY, easy, fun, good, inexpensive, kitchen, living room, new, paint, ring, shopping. Bookmark the permalink. You are right Amelia having this paint chip ring with you when you are out and about would be very helpful indeed…. This would be good for decorating also – knowing paint colors while looking for pillows, towels etc. Good idea.